Courtney is a licensed massage therapist (LMT) and graduate of The Soma Institute, The National School of Clinical Massage Therapy, which also earns her the designation Clinical Massage Therapist (CMT). 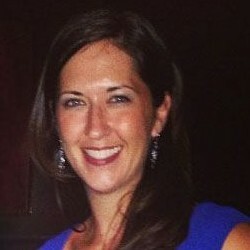 In her practice at The Rub Chicago, Courtney combines massage techniques with stretching and suggested postural and behavioral modifications to ensure a quality massage with lasting benefits. Hours: By appointment only. Hours are subject to change; please call or visit our online booking system for current availability. Fees: *Tips are not accepted at The Rub Chicago. The Rub Chicago offers a discount to clients who participate in approved health insurance plans, in partnership with Healthways WholeHealth Network. Please click here for a list of providers to see if you qualify. Cancellation Policy: 24-hour notice is required to cancel your appointment. Failure to meet these terms will result in a billing for 100% of the treatment charge.